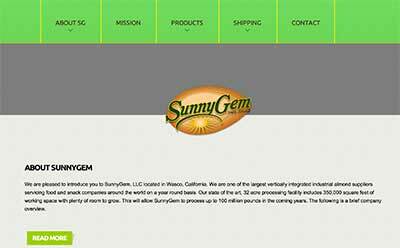 SunnyGem, Simply Almonds, is a almond supplier, a company that needed a branded solution that would show off their logo. We designed a straight-forward design that simply communicates to its customers its special offerings, products and services. This site uses a Drupal theme.